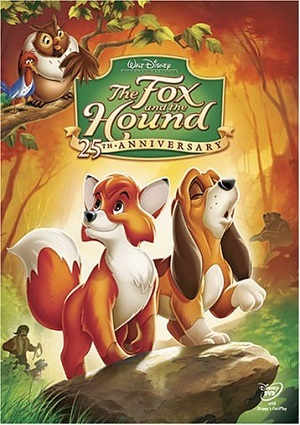 Tod is a young fox that becomes friends with Copper, a hound puppy. For a while, this friendship goes on along perfectly, but the truth is that as they are a hound and a fox, their destiny is not to be friends. When they grow up, Tod goes and speaks with Copper, saying that he still wants to be his friend, but Copper tells him that it is not possible, and that although he still values Tod, he cannot afford being his friend. The Chief hound sees Copper speaking with Tod and starts chasing Tod for killing him, but Tod manages to run away. On the other hand, Chief gets hurt and all the hounds swear revenge on Tod.